On April 23, 1987, shortly after the official opening of the new mega Sav-On Foods Store at Station Square in Burnaby, British Columbia, an area of the building roof-top parking lot of approximately 6400 square feet collapsed into the food store, injuring 20 people. A Commissioner's Inquiry by the Canadian Government determined that one of the major factors that led to the ultimate collapse of the structure was the selection of the Structural Engineer on the basis of competitive bidding, with the structural design being done by lesser skilled staff of the Structural Engineer, and much of the detailing of the connections being done by the subcontractor of the steel erector. "with tendering [bidding], relatively intense competition has driven fee levels down, and this has raised questions about the quality of professional services in this environment." The Commissioner's Report went on to state that "bidding for Professional Services…caused a great deal of concern." The report stated that one approach to correcting the situation was to "pressure the owner of the building to provide sufficient compensation to permit the Engineer to do the work properly." In July of 1981, two elevated walkways over the lobby of the Kansas City Hyatt Regency Hotel collapsed during a party, killing 111 people and injuring 188 others. The engineering services on this structure had been awarded on the basis of low bid, and the design professional services were limited by contract. In order to keep his fees low, and because of the "practices of the industry at the time and past dealings with the fabricator, the Engineer had specified that the detailing of the rod connections of the two walkways to the building be done by the fabricator". Had a properly qualified and experienced design professional carefully designed and detailed these rod assemblies, this disaster may have been averted. "…there is a tendency to unrealistically reduce the price when price is known to be the primary basis for the contract award…use of "low bid" procedure has frequently resulted in insufficient funds allocated to a project to adequately verify the accuracy of design and to thoroughly check plans before construction…selection of an Architect or Engineer solely on price-competition basis provides the potential for reductions in quality due to initial underestimation of the costs and resources required to adequately perform the work." 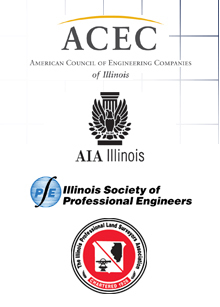 "Federal procurement practices that lead to or promote the selection of Architects and Engineeers on a 'low-bid' basis should be changed to require…greater consideration given to prior related experience and past performance of the parties seeking the contract award." It is my understanding that consideration is being given to changing Texas’ Qualifications Based Selection (Q.B.S.) process. This is a subject on which I have substantial knowledge, and therefore offer my experience. I served as Secretary of the Florida Department of Transportation beginning in 1987 for a period of almost three years. For context, you should know that I was asked to served by the governor-elect who campaigned “to reform the Florida Department of Transportation.” At that time, the Governor was responsible for the Executive branch only, and the Legislative branch was dominated by the opposite party. As Secretary, I inherited a system of selecting design professionals on the basis of competitive bidding. The results were uniformly negative. Price-based selections for design services don’t work. It didn’t work for the public, the agency administrators, contract managers or even office holders. Is there a place for discussion of price? Sure. After a selection has been made based on qualifications – “The best firm for this assignment, in this place, at this time.” Then and only then should price enter the dialogue. Did bidding engineering services make the selection more cumbersome? Yes, without a doubt. Once “numbers” are on the table, they inevitably become the only topic, and such critical factors as quality, service, and performance are muted. Under a price-based selection, you can forget such professional ingredients such as innovation, added value, accountability, and advancing the science of engineering. Did the bidding system (let’s call it what it is) lead to increasing change orders? Yes, it did. The logic is plain. You have established a policy that regards “price” as the equivalent of “value,” and they are separate by almost 180 degrees. True value should be the goal in the acquisition of professional service, and value will not be obtained through a bid. Did price-based selection of engineers increase construction costs? Probably. This is a contentious subject because you can only receive construction bids on one set of plans – not two. You can’t receive bids on a set of “true value” plans and simultaneously receive bids on a set of “lowest cost” plans. Once price is inserted, the dominos are set on end and will fall only one way – toward cheap. I am sure of this: the “life-cycle costs” of the product (i.e. roads, bridges, structures) and every aspect of a transportation system are increased and useful life decreased when design services are bid. 1. “That better technology has reduced the need for engineering expertise.” False. But, it has freed up the best engineers for more creative and productive tasks (i.e. project management). 2. 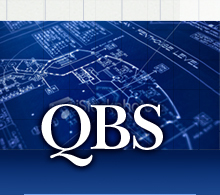 “That innovation cannot be achieved with Q.B.S.” False. Actually the best innovations are produced by the best brains, and they are not to be bought for the lowest price. 4. “That price considerations can be overridden by other considerations such as superior project management, availability to serve, past record of performance (good or bad).” False. It never happens! 1. If a public agency selects on a “lowest” price basis, more money will be spent on trying to insure adequate quality in the design documents than would have been spent to secure a negotiated fair price from the most highly qualified source. 2. Prior to selection, check a firm’s mission statement. If you find a declaration to “offer our clients the lowest possible price,” then “run, not walk to the nearest exit.” On the other hand, if the mission statement mentions “core values” such as, integrity, quality service, and valuing employees, then proceed with confidence.